The Street Store aims to change income disparities by facilitating a temporary meeting point between these groups to benefit the impoverished and raising awareness to increase donations. Levitan explains the circle of degradation that homeless people face on a daily basis – a cycle that The Street Store aims to shatter. “We saw how the ‘haves’ and the ‘have-nots’ cross one another’s paths on the streets, but never really meet. The ‘haves’ fear the homeless and get frustrated with their begging – so they begin to ignore them. 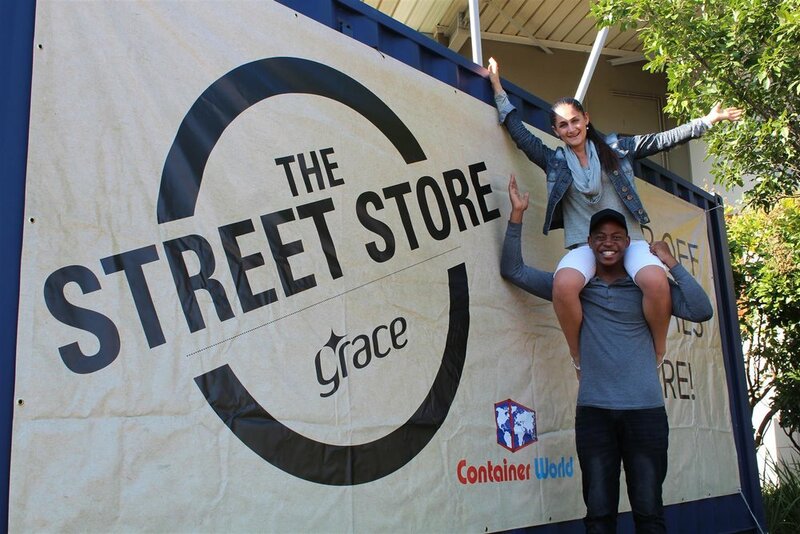 The Street Store launched successfully in January 2014. Its progress has been due, in part, to the minimal nature of its infrastructure. It is a rent-free, pop-up charity that can be held in any city across the globe with the help of volunteers and a few pieces of cardboard. Open-source poster designs can be downloaded from TheStreetStore.org. Once printed, the designs are assembled and used as hangers and place mats to hold clothing donations. The donated items are hung on an outdoor fence for the homeless to browse through. 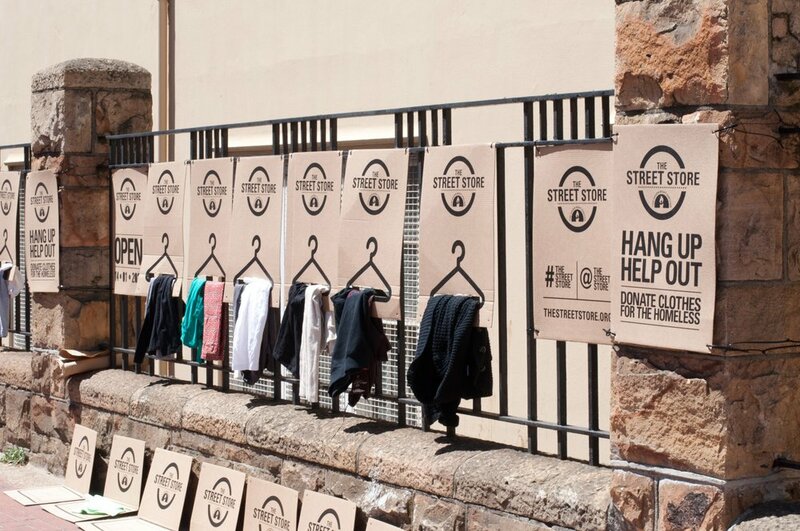 The Street Store encourages privileged people to be charitable anonymously and does so with little to no expense. It provides clothing to those who need it most and saves them the humiliation of having to beg for a necessity. Successful Street Stores have been held in Cape Town, Brussels, Kuala Lumpur, Vancouver, Sao Paulo and Kentucky among many other cities. It continues to bring relief to the lives of homeless people internationally. Once the event has ended and all items of clothing have been taken, the cardboard posters are collected and recycled, leaving no trace of The Street Store. The Street Store gives homeless men and women an opportunity to shop for clothing they like. Luumi: Making the world a little brighter.